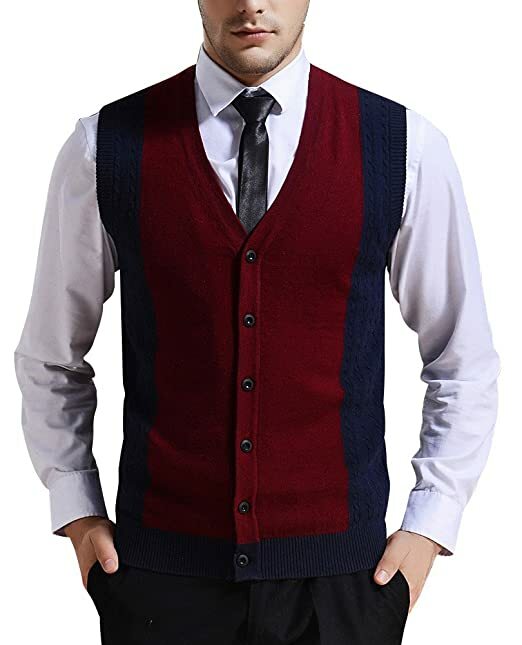 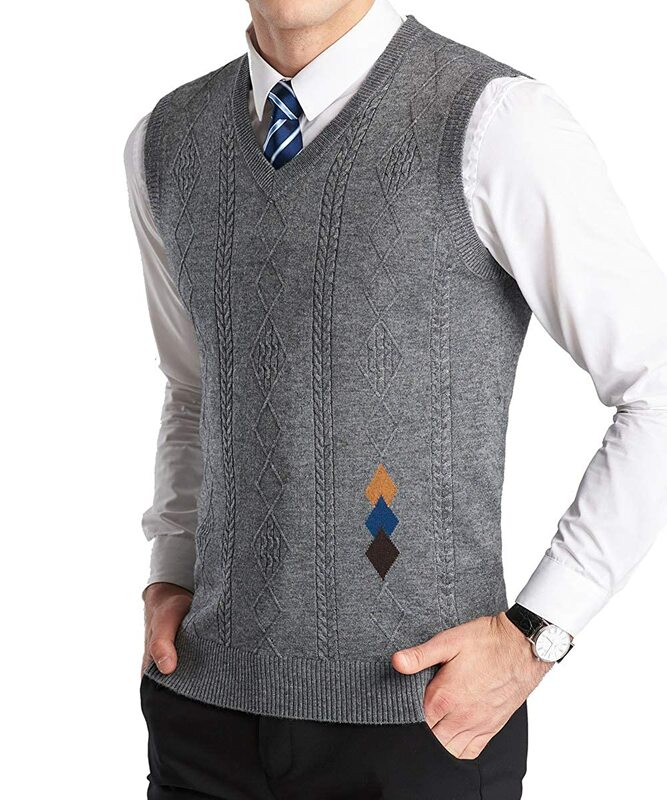 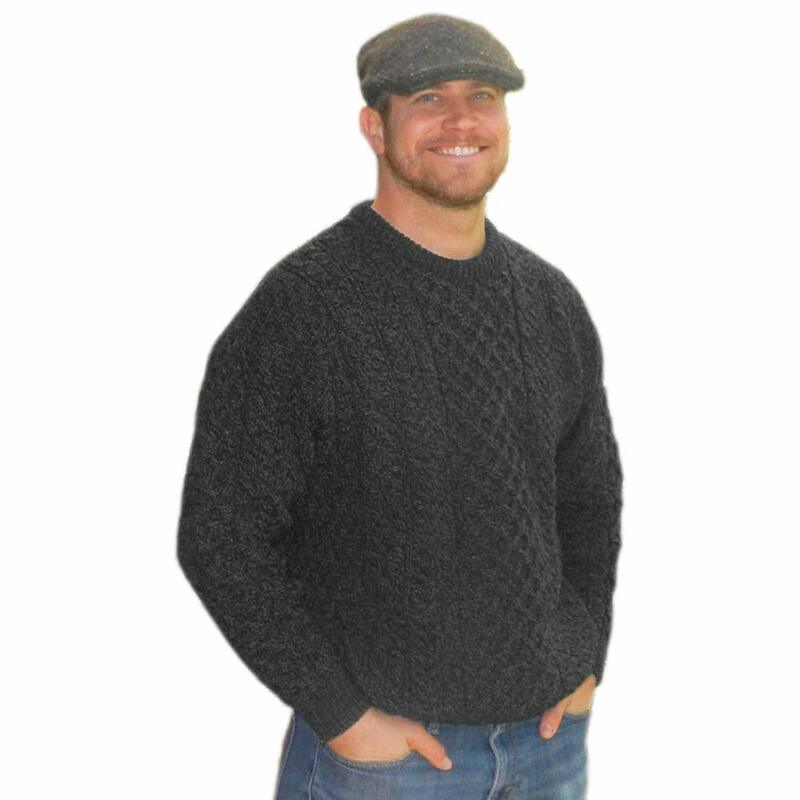 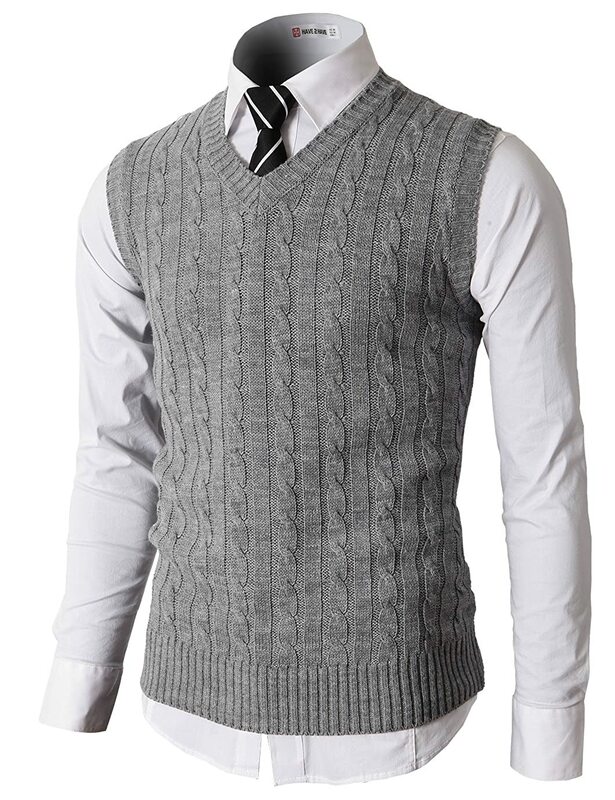 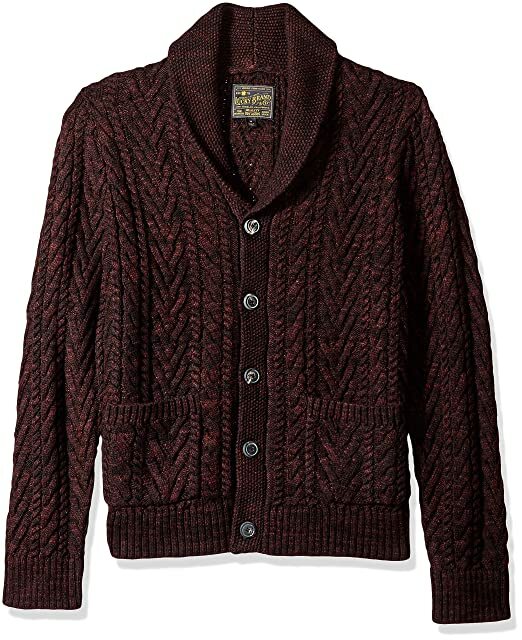 1920s men’s vintage sweaters were heavy chunky cable knit sweaters with roll collars in pullover styles or shawl collars on button up cardigans. 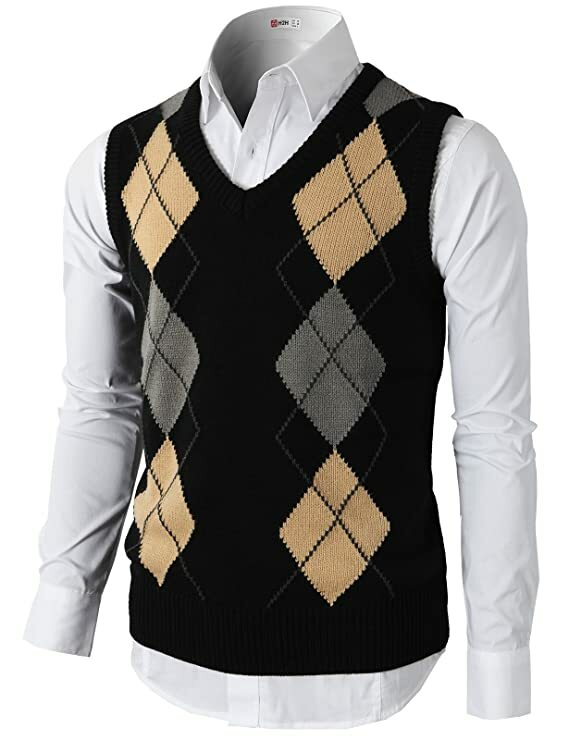 Colors were neutral in the early years and vivid argyle check, geometric, and fair isle patterns in the later years. 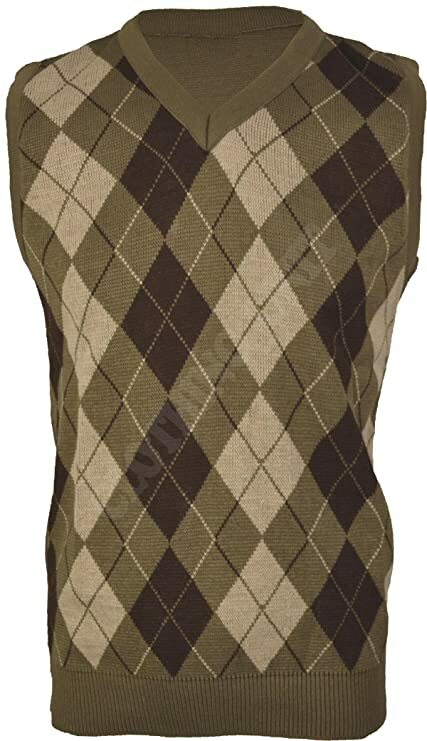 Brown with burgundy, blue with pea green, mustard yellow and green were common late ’20s colors. 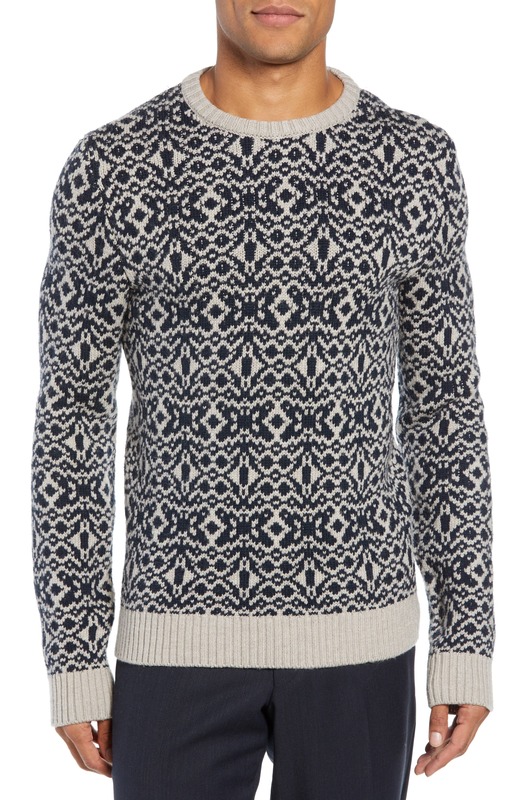 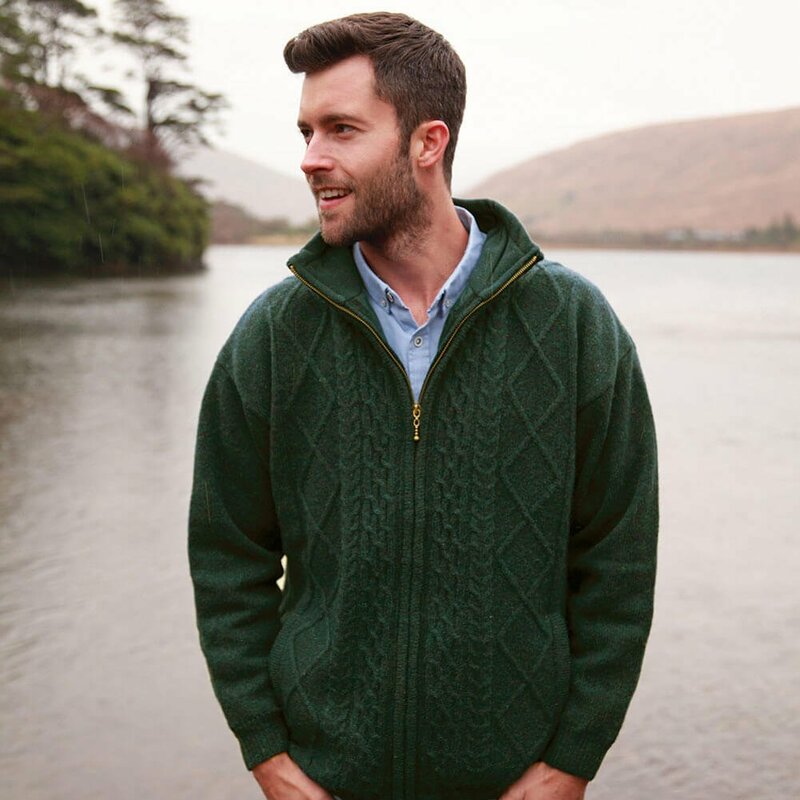 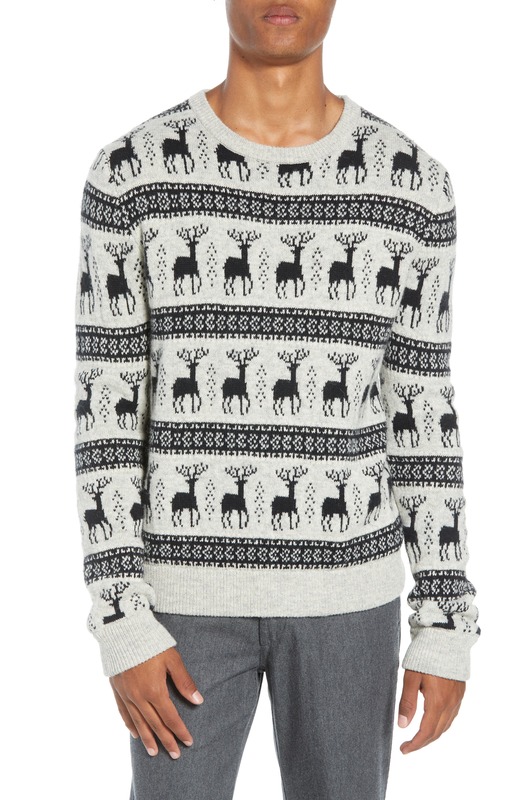 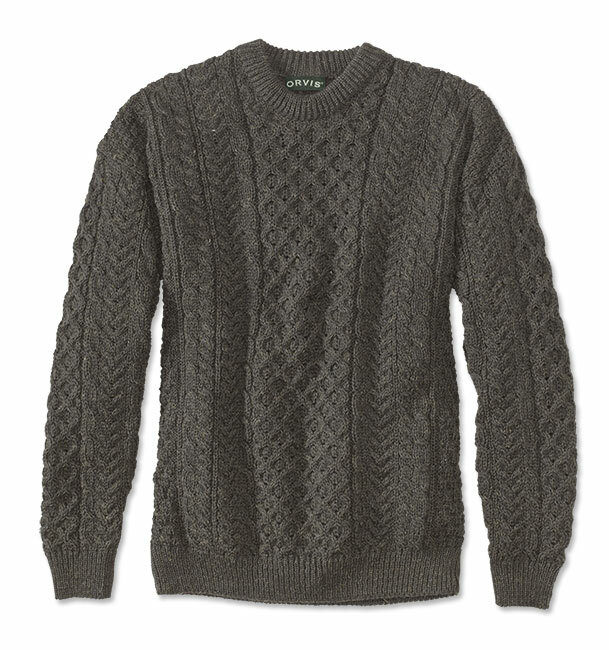 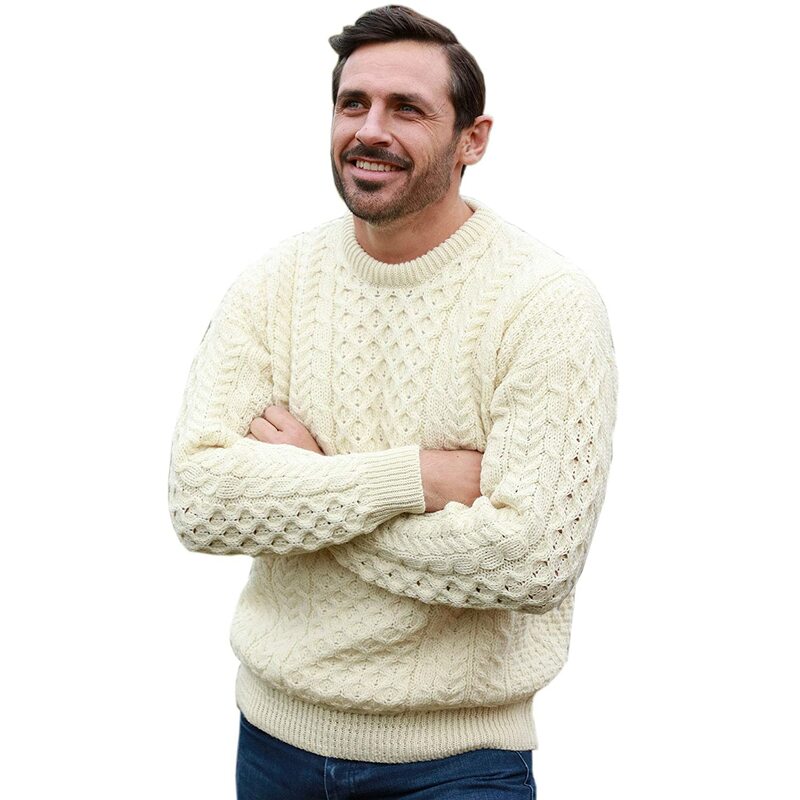 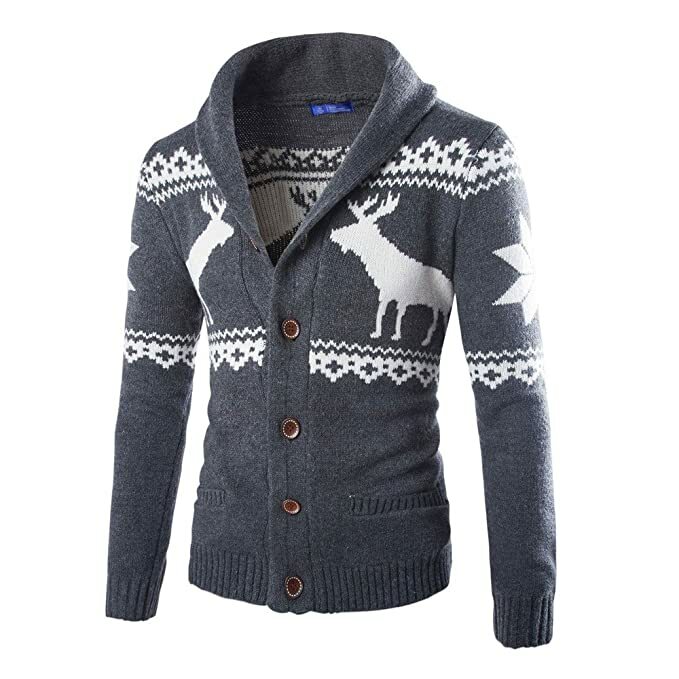 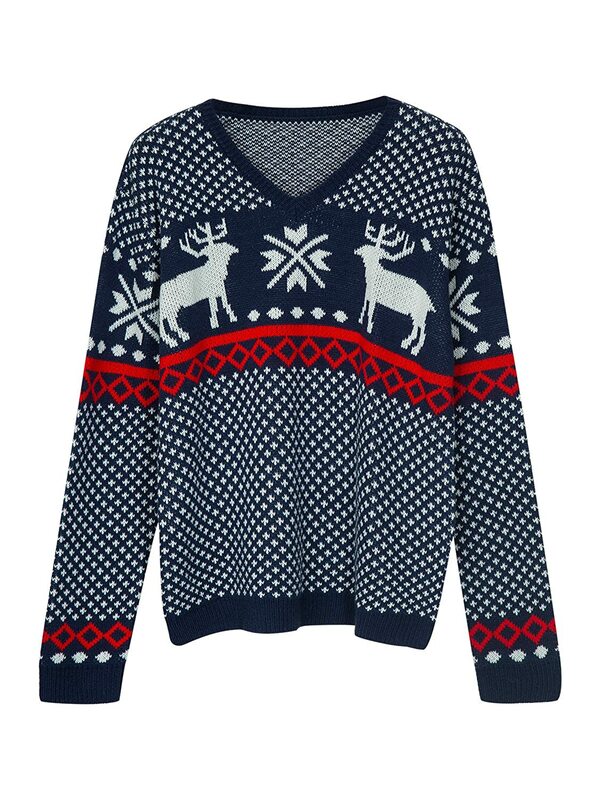 Both cable knit sweaters and fairisle pattern sweaters are back in style this year. 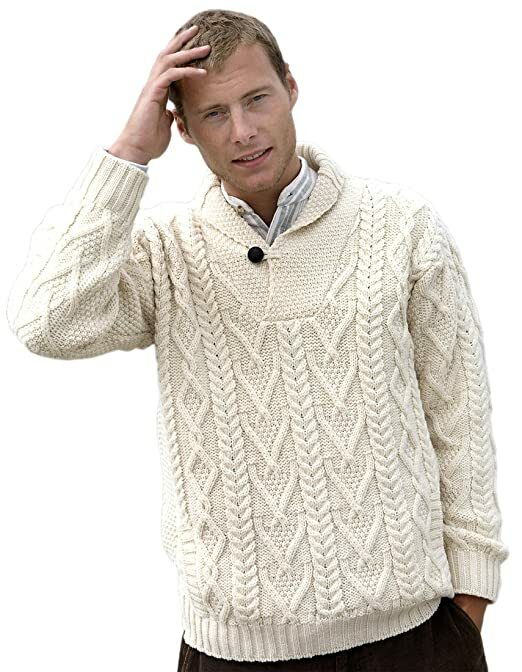 Learn about mens 1920s sweaters. 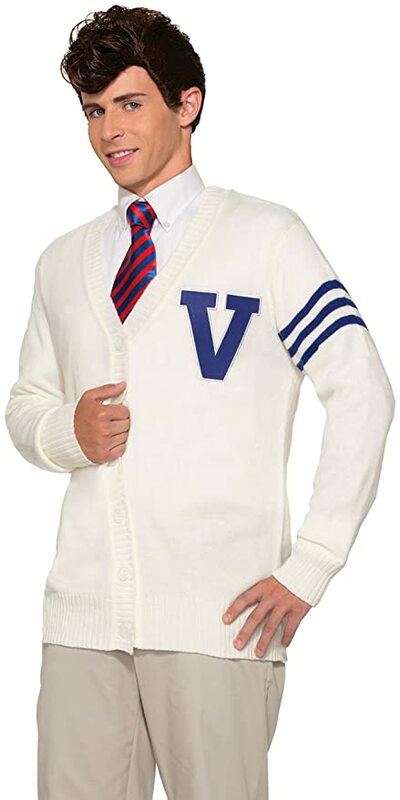 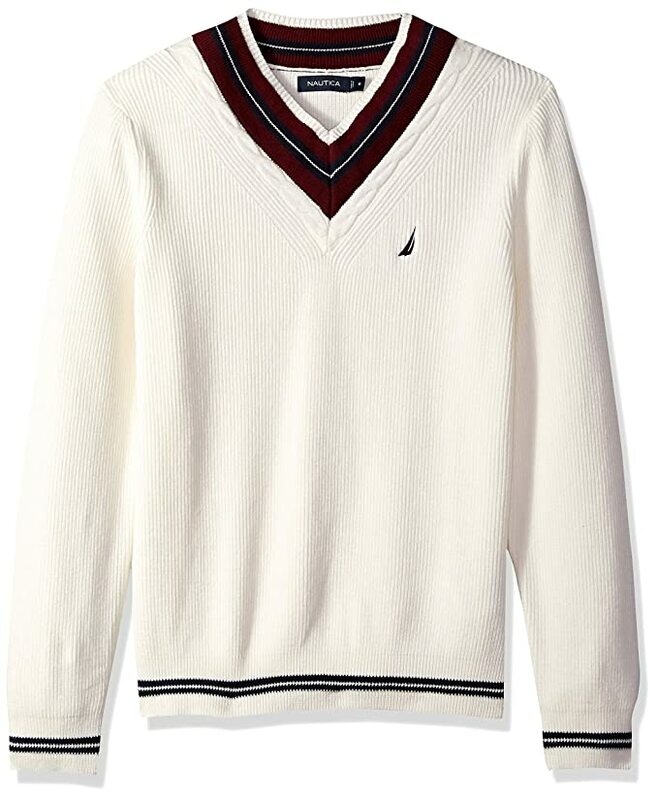 1930s men’s vintage sweaters were still heavy shaker knits but with smaller crew neck pullovers and cardigans that also zipped rather than buttoned. 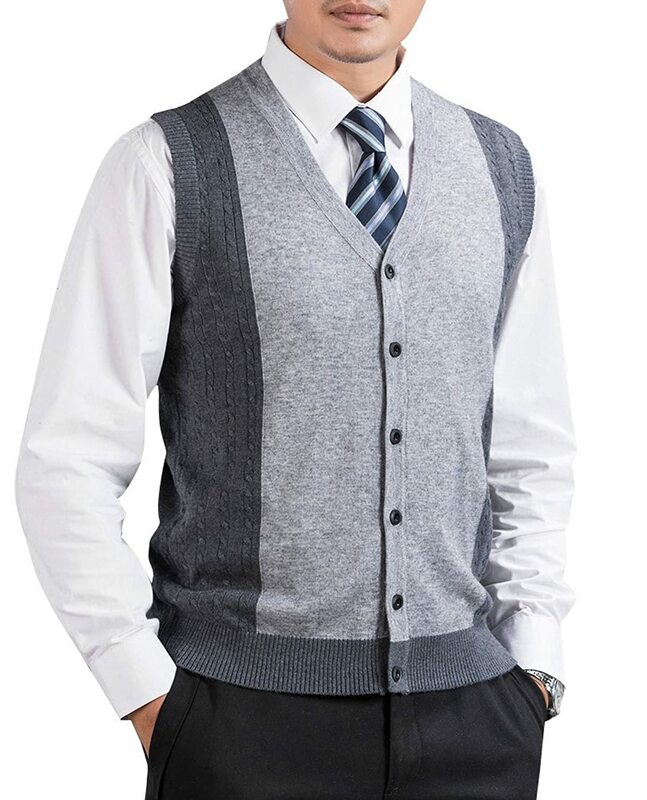 The length also reduced to meet the high rise of pants. 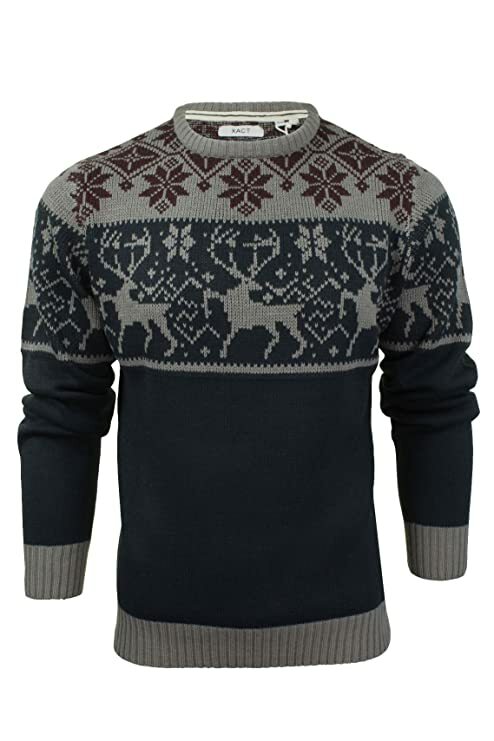 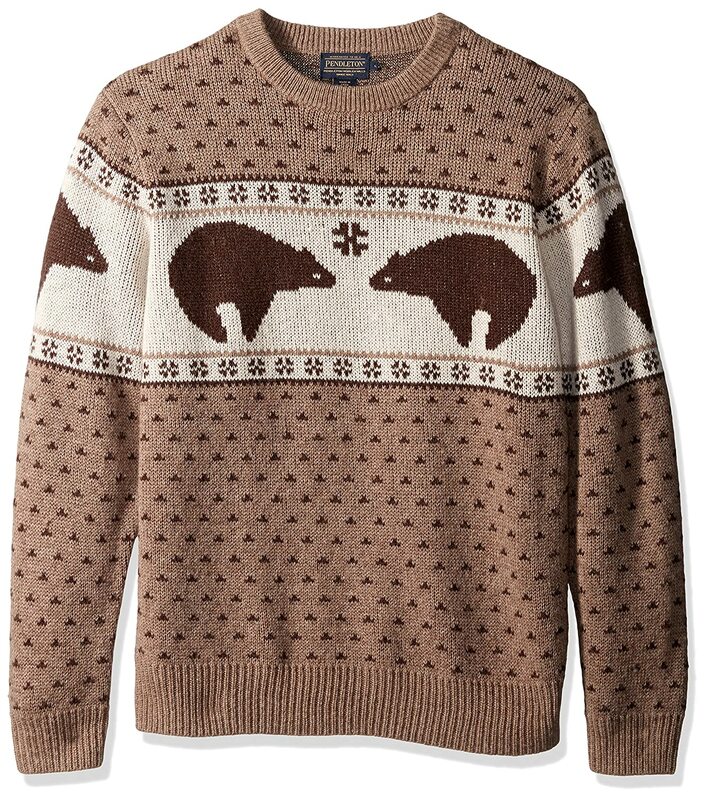 1940s men’s vintage sweaters slimmed down into smooth V neck knits in plain and novelty patterns such as moose, trees, squirrels, birds and winter snowflakes. 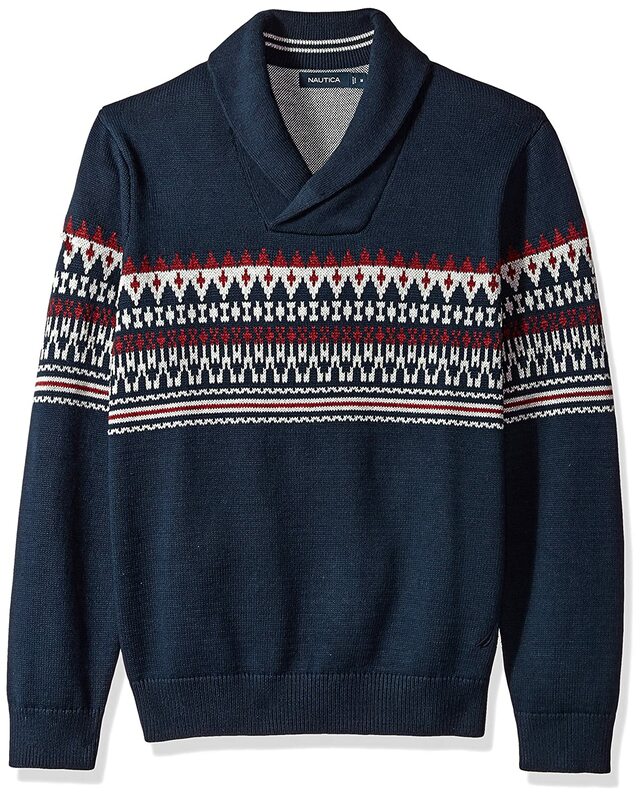 The fit was snug with thin trim and a semi-wide hip band. 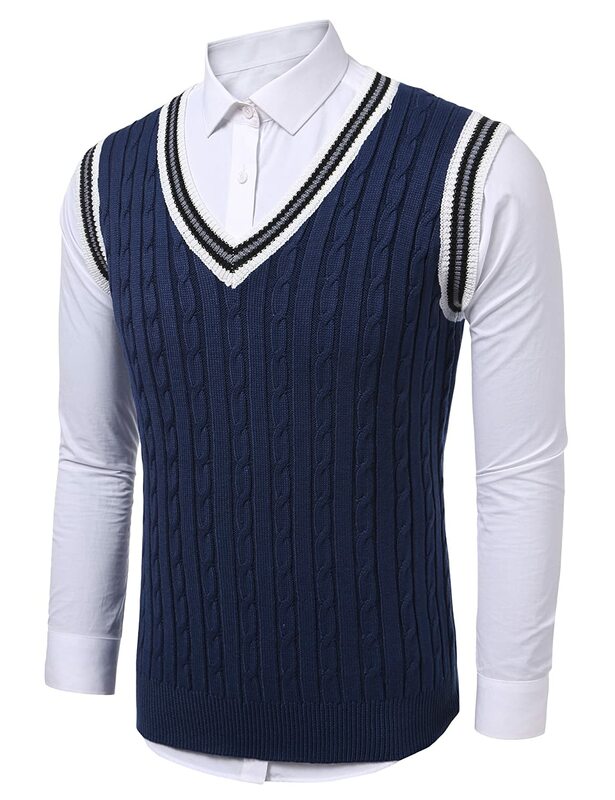 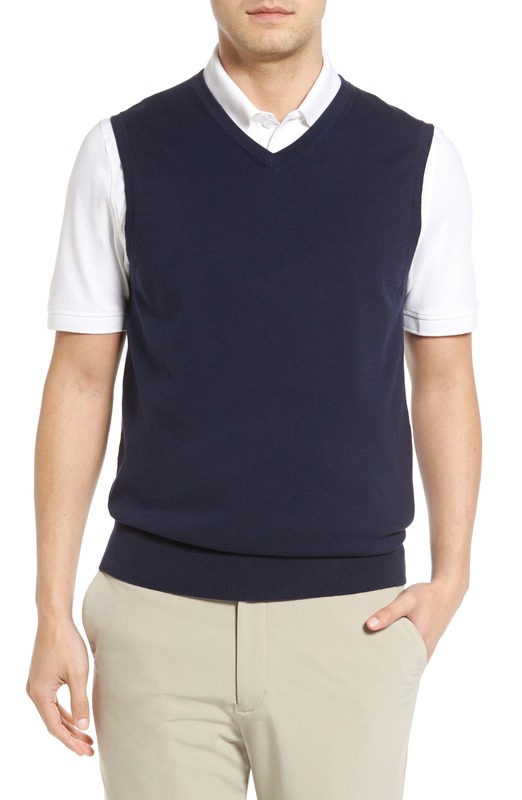 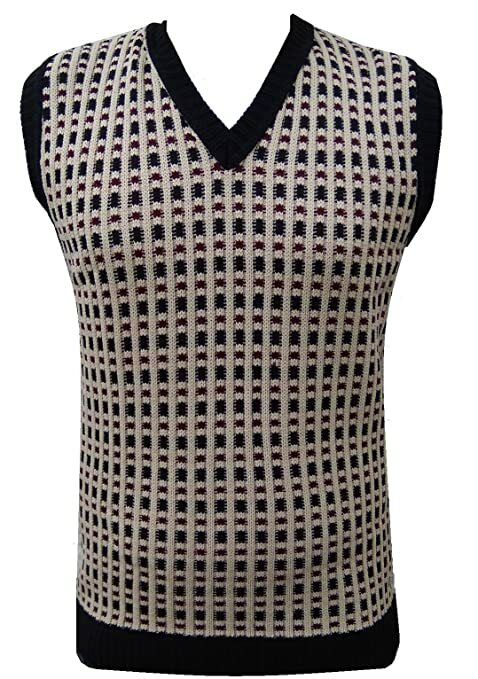 Pullover vests continued to be a big deal in the 1940s. 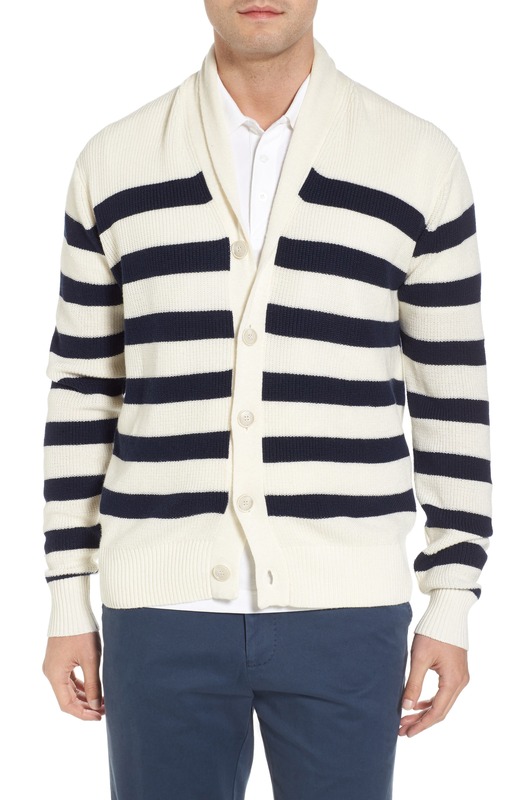 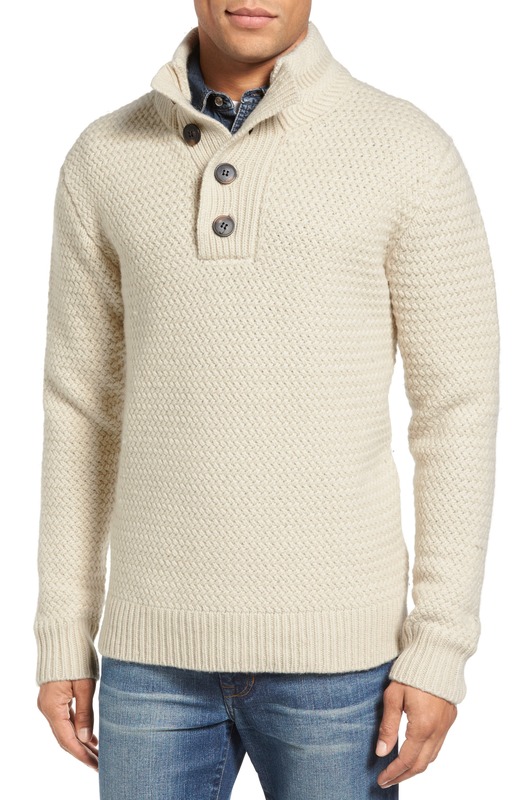 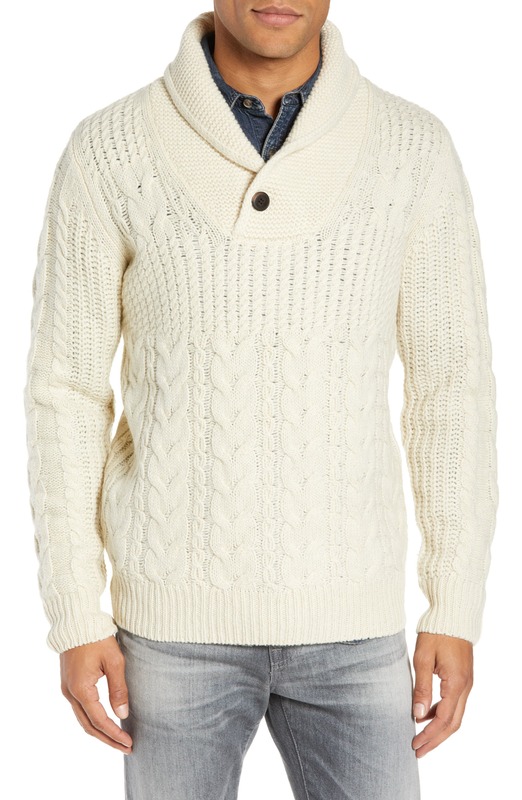 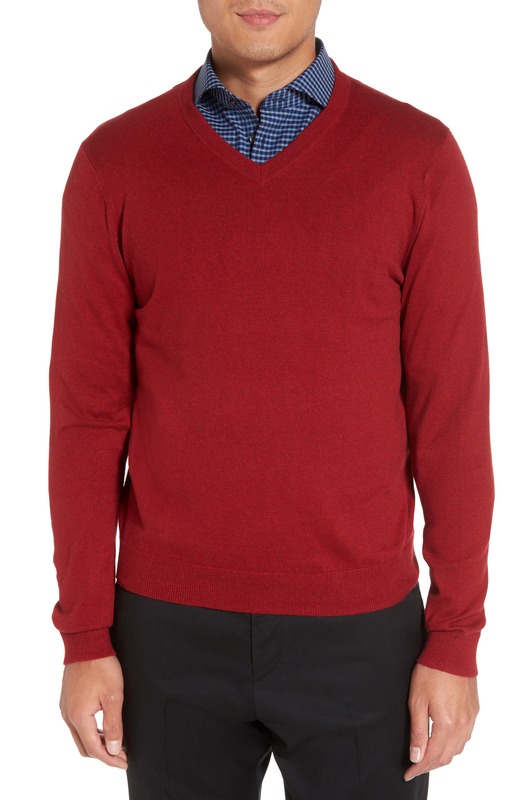 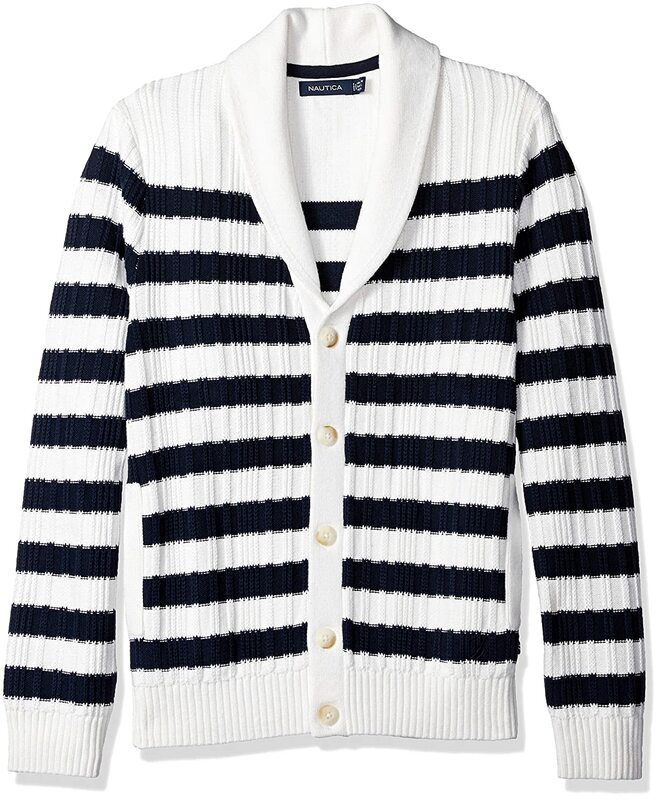 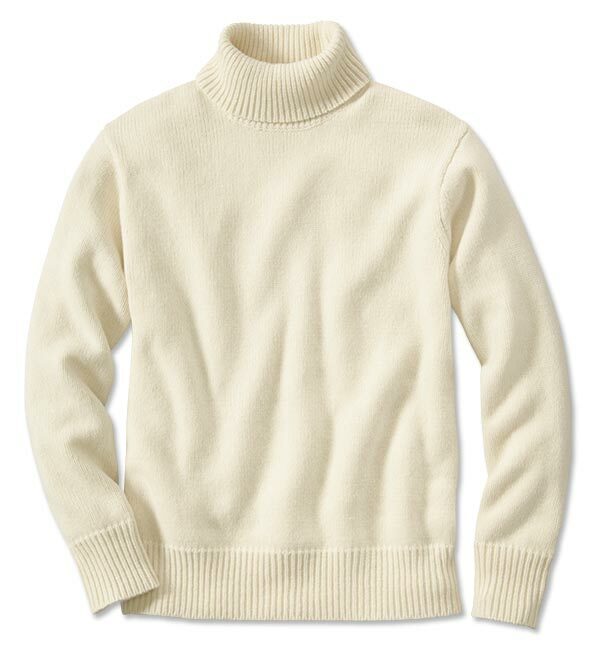 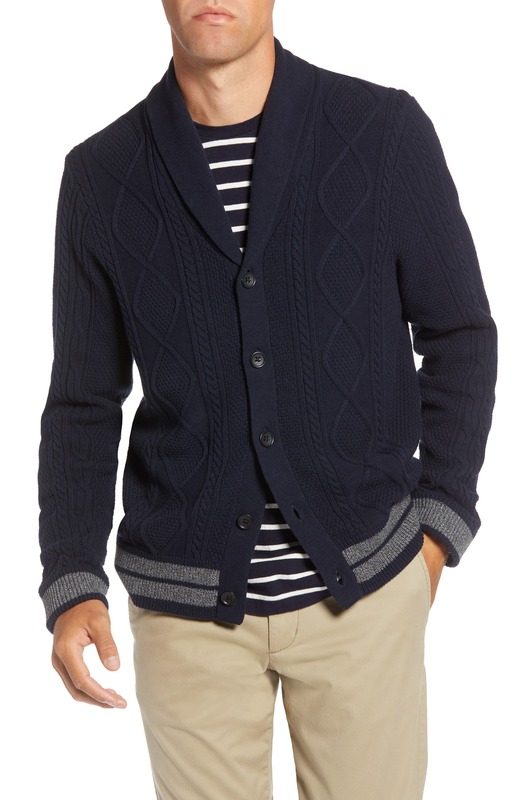 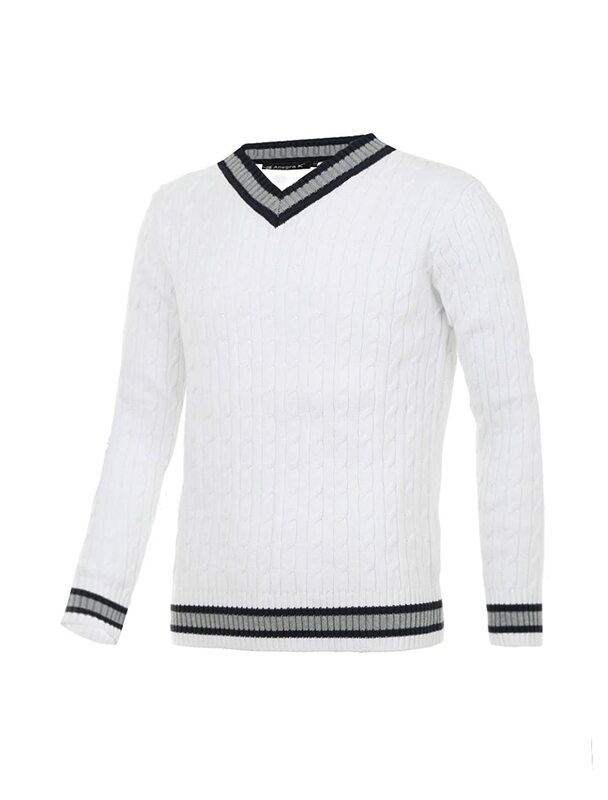 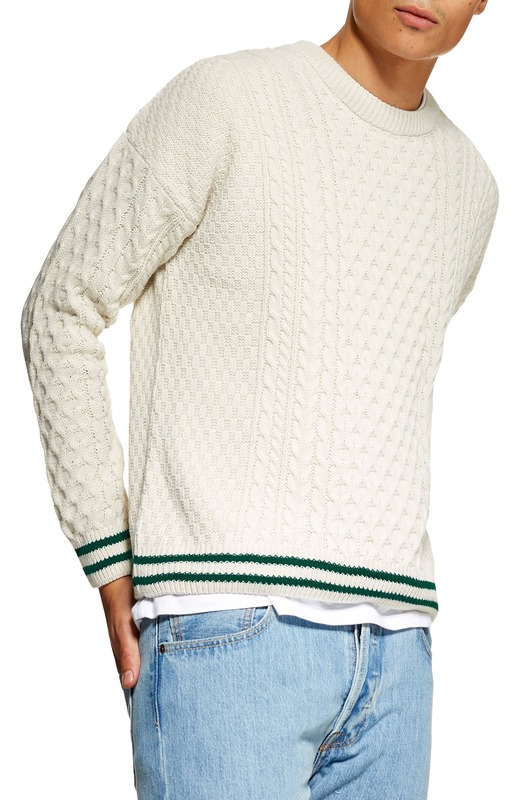 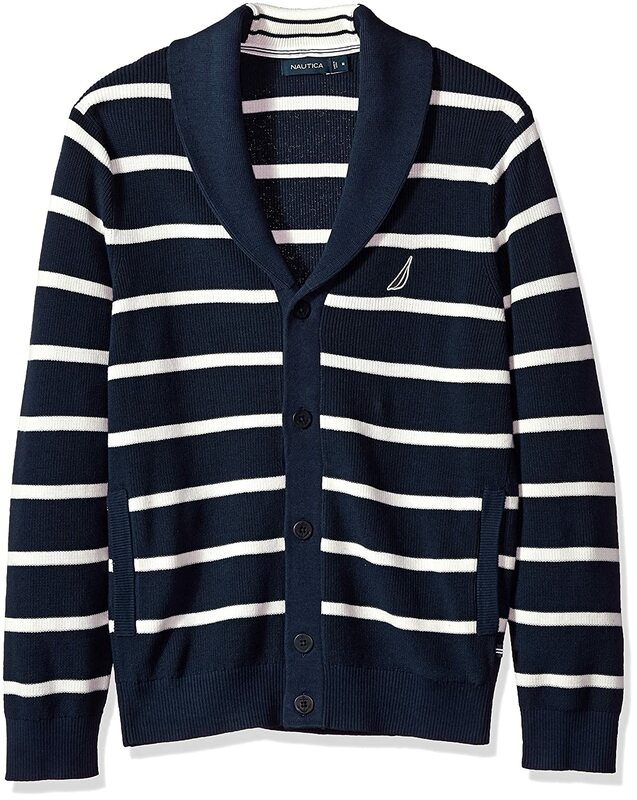 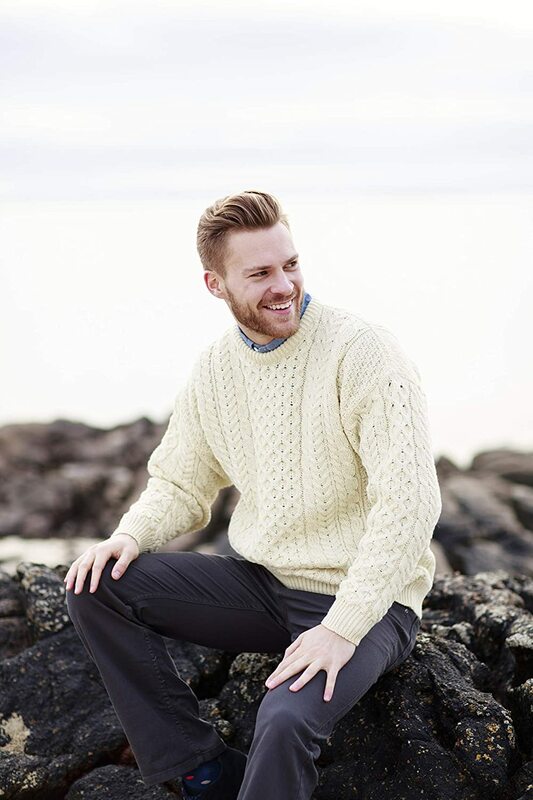 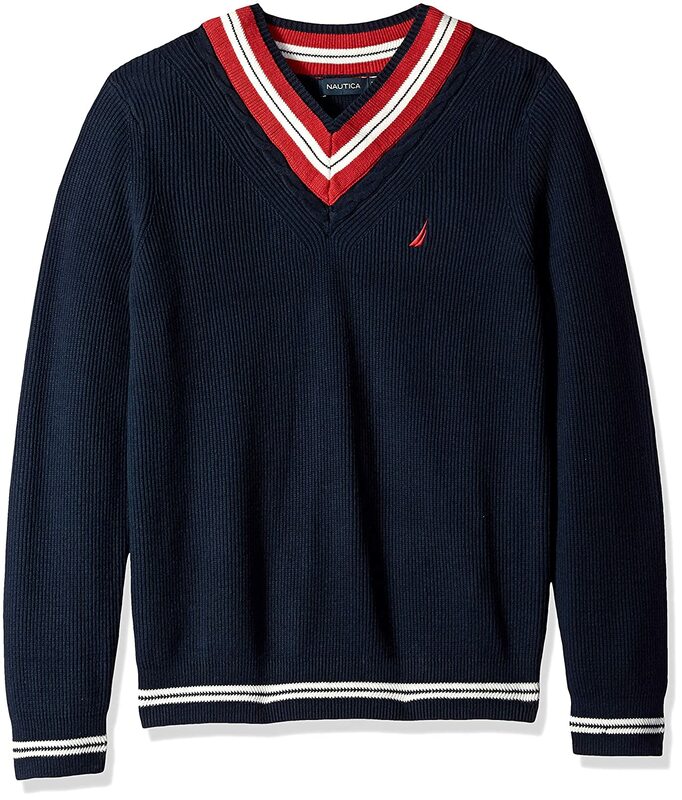 1960s men’s retro sweaters return to a chunky home-spun texture with contrasting trim, wide stripes and elbow patches. 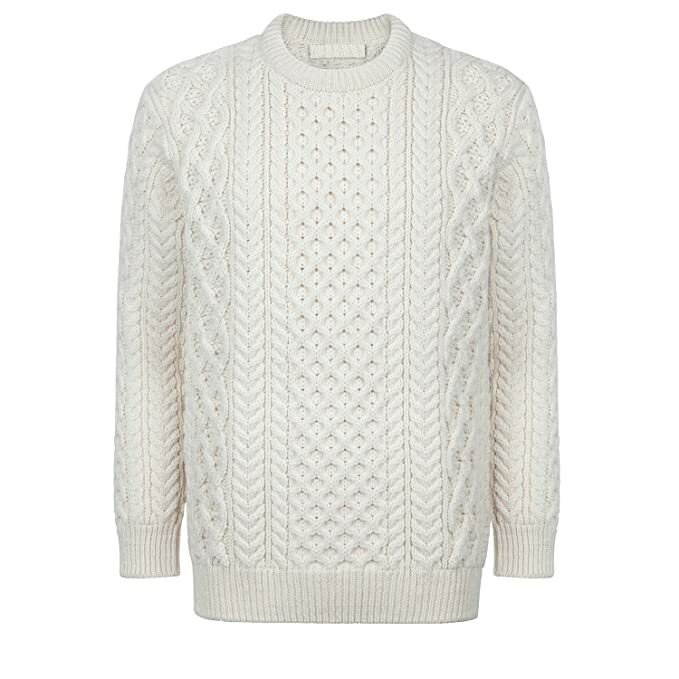 Fuzzy mohair was and cable knits were back in style. 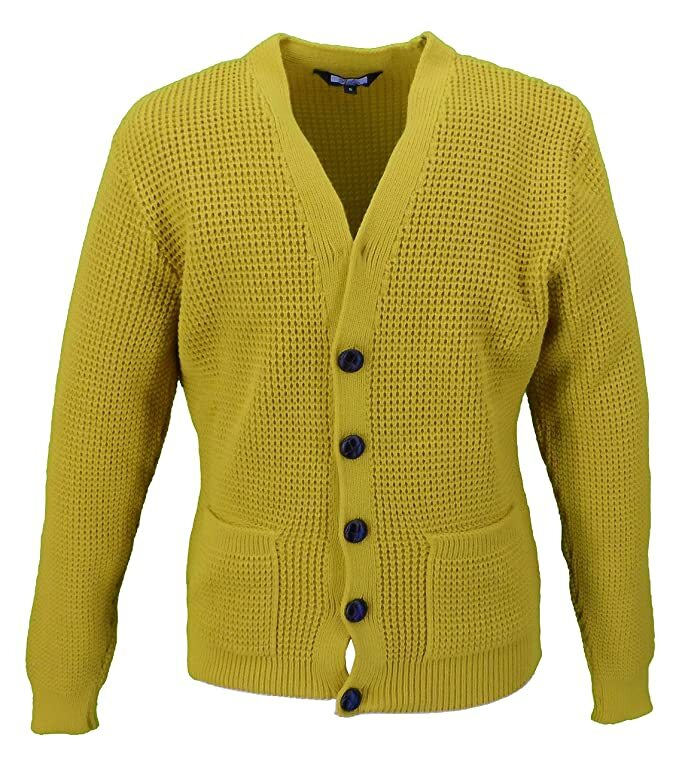 By the end of the decade, the ultra-skinny sweater with funny novelty designs was part of the mod fashion that continued into the 1970s. 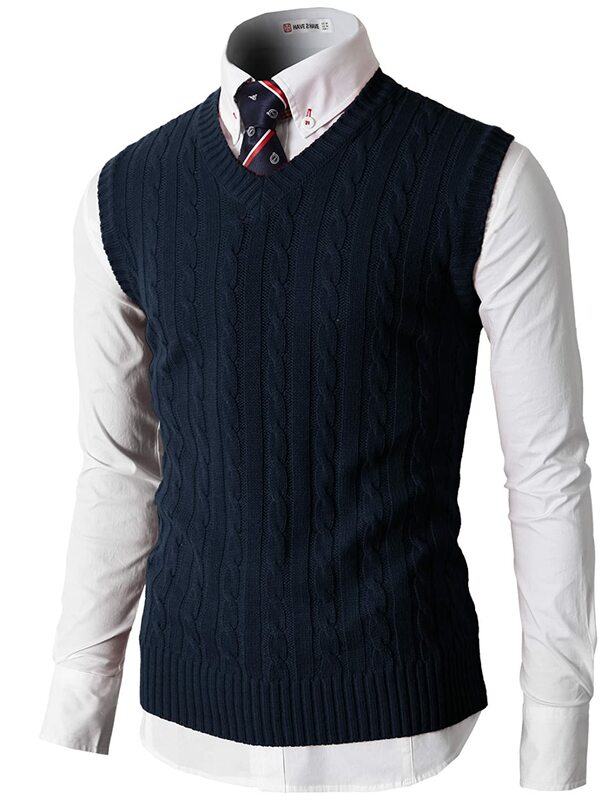 This is the style we see again in 2016-2019. 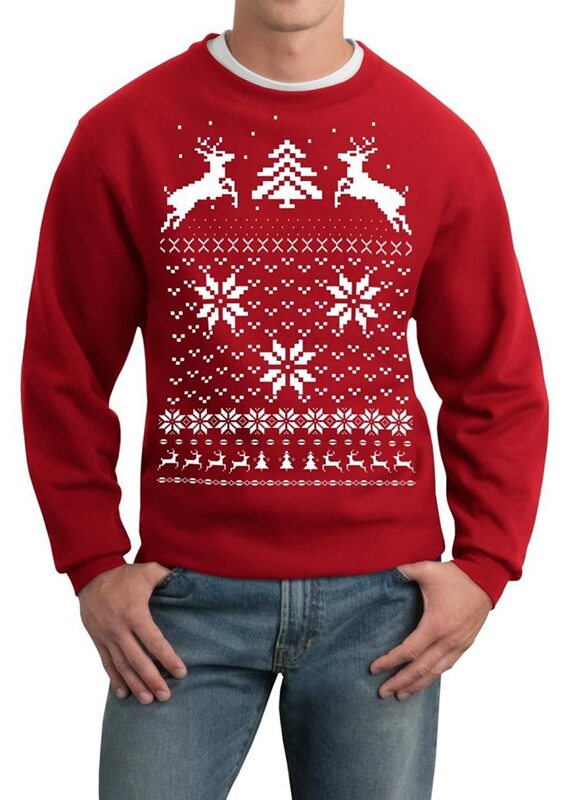 1980s men’s sweaters were known as the ugly sweater decade. 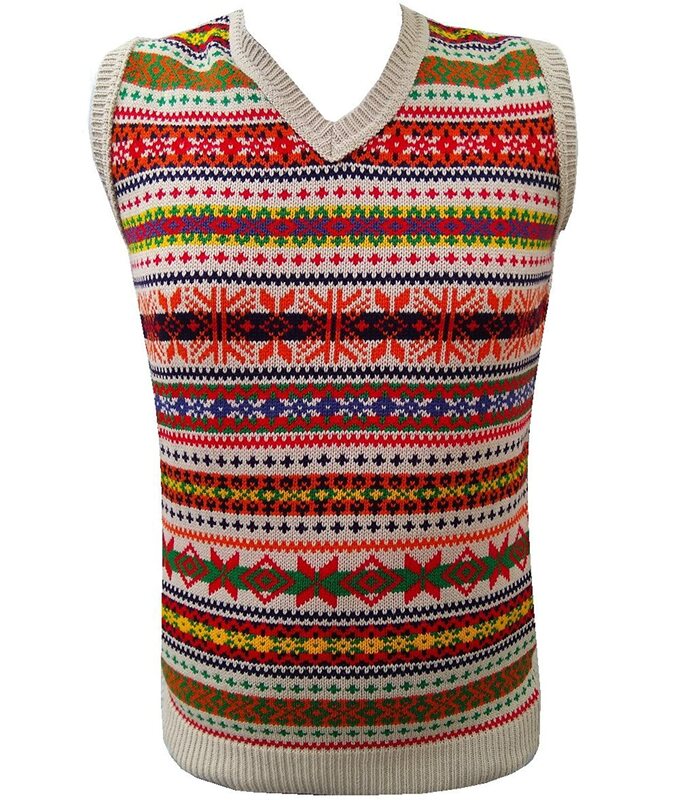 Usually oversized with funky patterns- geometric, novelty characters, clashing colors and bizarre designs they are trendy again if only for the laughable cool factor. 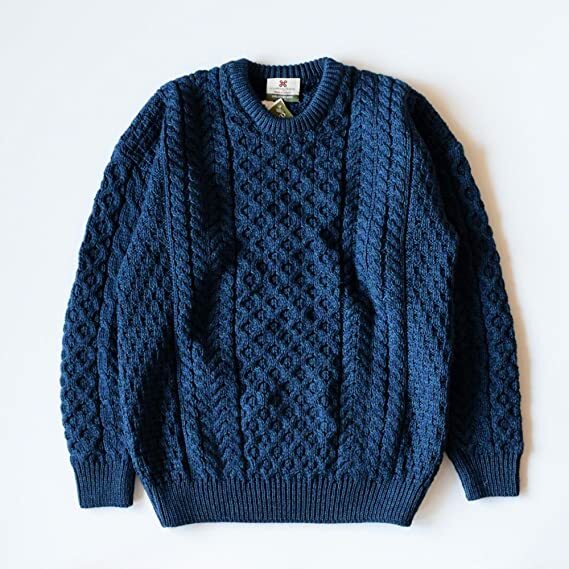 See more pictures of vintage men’s sweaters below.